The Waikanae ‘pop-up’ library will soon be popping up in the art gallery next door. 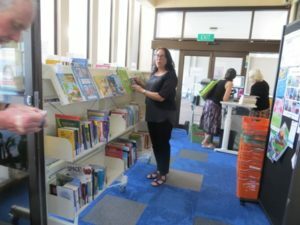 On Monday 18 February, the Kāpiti Coast District Council’s pop-up library service will begin running from the Mahara Gallery. The main library, just to the east of the Gallery, was forced to close early in December after toxic Stachybotrys mould was discovered in the walls and library books. KCDC Group Manager James Jefferson, says the move to the smaller of the Gallery’s two exhibition spaces, will provide a more pleasant visit for customers while the Mahara Place improvements take place near the oldlibrary site. Mr Jefferson says with the Mahara Place improvement works going on, there might be some disruption over the next couple of weeks and possibly some changes to library operating hours. “We’re doing our best to keep things as normal as possible while we arrange for the move, but we’ll let people know if there are any changes. The pop up will close its doors for the move on Wednesday 13 February so staff can move the pop-up over to the Gallery,” he says. Mr Jefferson says staff continue to explore all available options for providing library and customer services in Waikanae. 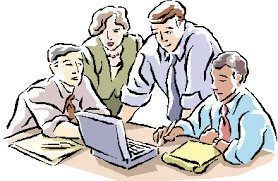 “This has included looking into leasing various premises, as well as relocatable containers or buildings. Things are progressing, and we hope to be in a position to share more information in the next few weeks. “Having a medium-term solution in place gives us the time to carefully investigate options about Waikanae Library in the long term.